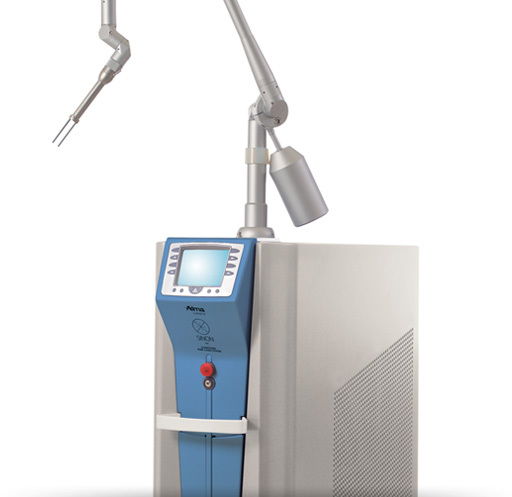 The SINON II Q-switched Ruby laser (QSRL), with an optimal 694nm wavelength and an extraordinarily short pulse width of only 20nsec, is the safest and most precise laser treatment solution available for pigmented lesions and multi-color tattoo removal. A high pulse repetition rate and easy spot size changes allow for faster treatments and greater penetration depth, while low fluence values ensure minimal side effects while achieving excellent clinical outcomes. Safe and accurate -with small Q-Switched fluences and single pulses for safe and accurate treatment of sensitive skin. Fast treatment – a high pulse repetition rate and easy spot size changes allow for faster treatments and a more efficient practice. Suitable for all skin types including darker skin. Flexible patient schedulingimmediate sleep /active modes allow for quick patient acceptance without long system warm up delays. Intuitive user interface – quickly adjust treatment parameters according to pigment density, depth and skin type, depending on each patient’s needs. High ROI with a cost-effective solution that yields higher returns than devices that achieve comparable results using more expensive technology. 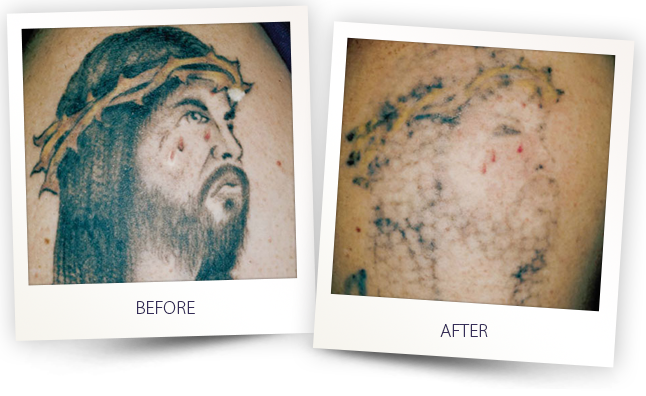 The QSW Ruby laser delivers the high energy required to effectively remove tattoos of all types and depths, and is particularly effective for treating resistant tattoo ink colors such as lime-green, sky-blue and teal. 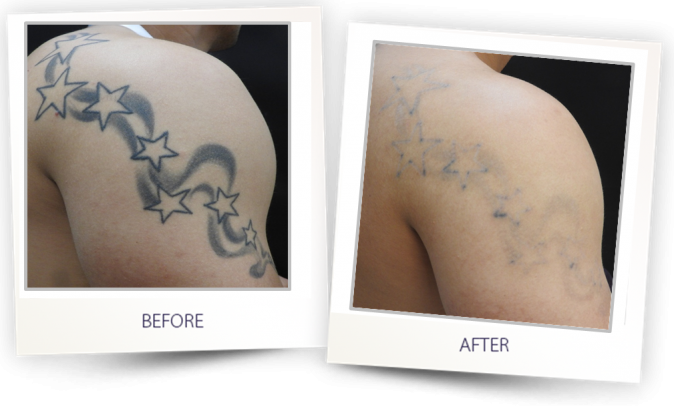 With precise ink targeting and high peak power, SINON removes tattoo pigments in fewer treatments, yielding greater patient satisfaction. 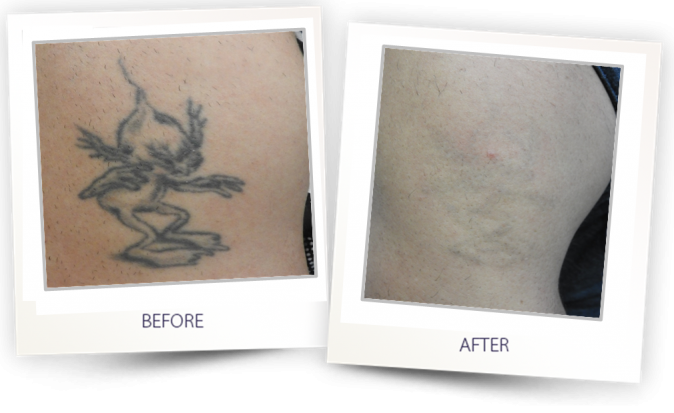 Q-Switched Laser The Q-Switched (QS) laser is the most effective way to remove natural or artificial (tattoo) pigmentation, while minimizing the risk of damage to surrounding tissue. 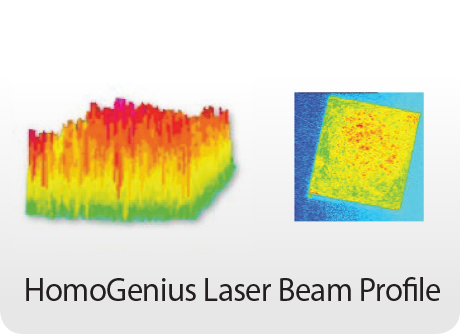 SINON II uses an active Q-switched laser to deliver photo acoustic shockwaves to the target area through high laser intensities in short nanosecond pulses. 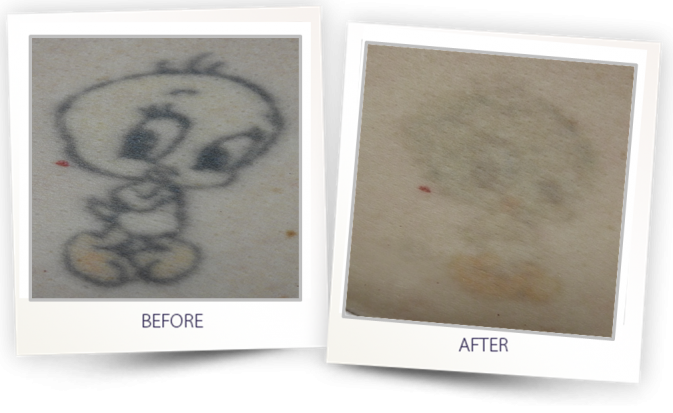 The mechanical Q-switched effect works by vibrating and breaking up the pigment in the lesion or the ink particles in the tattoo. 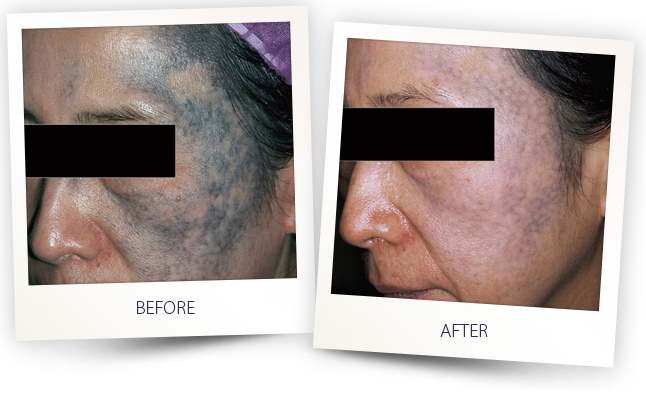 As the area heals, the body’s immune system flushes away the shattered pigment, revealing lighter, clear skin with minimal risk of scarring or hyperpigmentation. Ruby Wavelength The Ruby laser has a proven track record as the most effective of all Q-switched lasers for pigmented lesions as well as yielding excellent results for multi-colored tattoo removal. With a 694nm wavelength, the Ruby laser is selectively absorbed by the melanin or tattoo pigment in the skin, with very low absorption by hemoglobin and therefore, minimal risk of bleeding. The high absorption by the melanin chromophore allows for effective treatment of both superficial and deep pigmentation using low fluence values, which significantly reduces the risk of side effects. Ultra-short pulses The SINON II system features ultra-short pulses of only 20nsec. 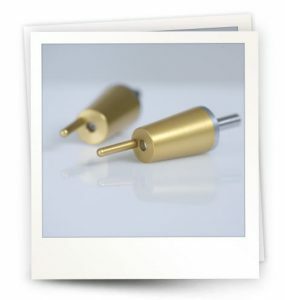 This is the shortest pulse duration of all Ruby lasers available in the market. The short pulse produces very high peak power for optimal clinical efficiency with minimal patient pain. 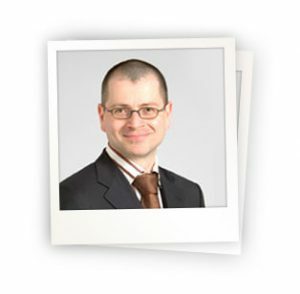 With highly efficient treatment, it is possible to maintain low fluence values and still achieve excellent results. Low fluence also allows for the application of large spot sizes for faster treatment as well as for targeting deep lying pigmentation. Latest Innovations – Fractional tip SINON II’s new fractional tip offers the advantages of fractional technology for the treatment of pigmented lesions and multi-colored tattoos. 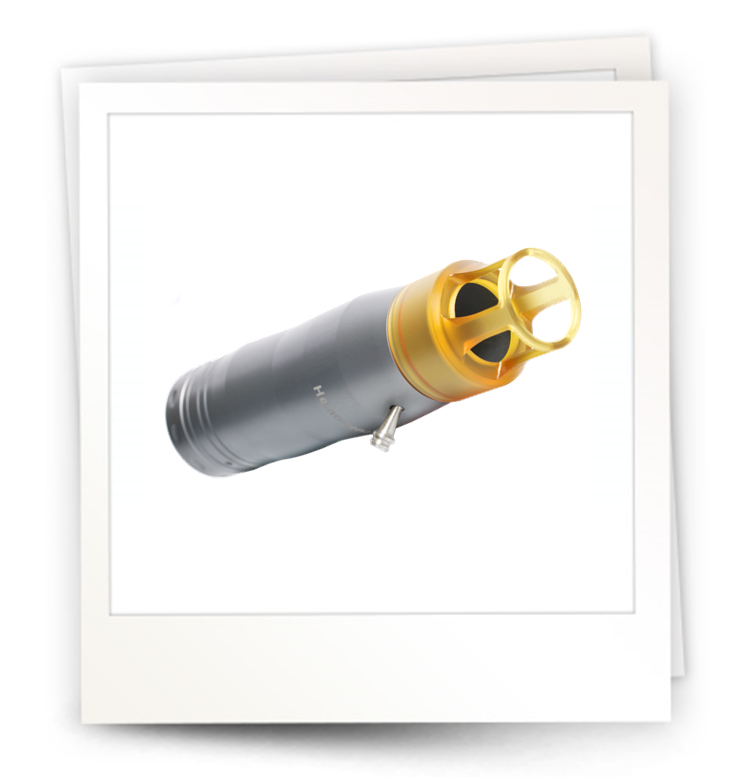 SINON II uses a divergent beam with the focus point located within the handpiece rather than on the skin. 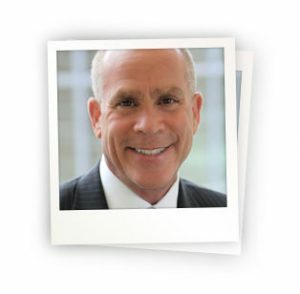 This removes the risk of creating hot spots during treatment. SINON II offers a 3mm soft spot size tip allowing for safe and effective treatment of darker skin types. Small Q-Switched fluences of 2 J/cm² and single pulses allow for detailed work as well as safe treatment of sensitive skin. 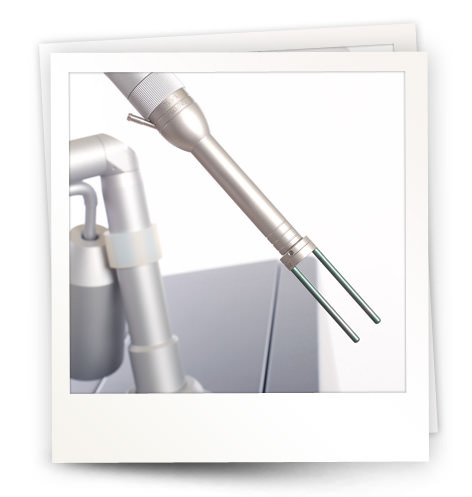 The SINON II handpiece is compact, providing an unobstructed view of the area to be treated for maximum visibility. 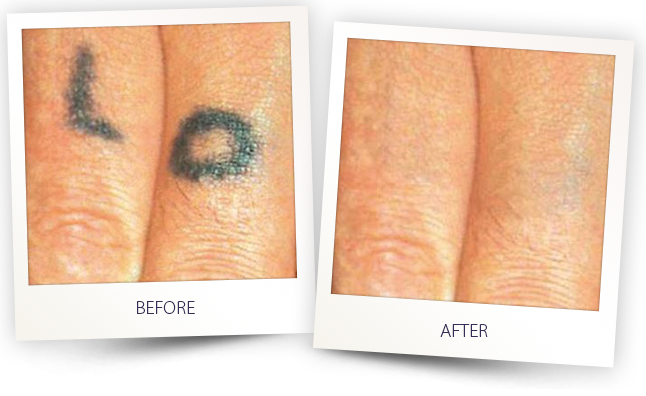 An oval spot shape reduces treatment overlap, minimizing the risk of side effects. A Zimmer skin cooling attachment further reduces pain and maximizes patient comfort. 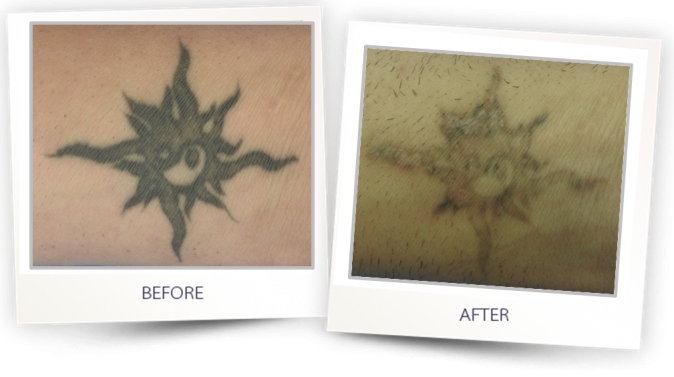 Treats pigmented lesions and tattoos using a a square homogenized laser beam profile with uniform energy intensity, preventing hot spots. A square flat top profile beam with 3×3 mm2 spot size allows for coverage of treatment areas without overlap. 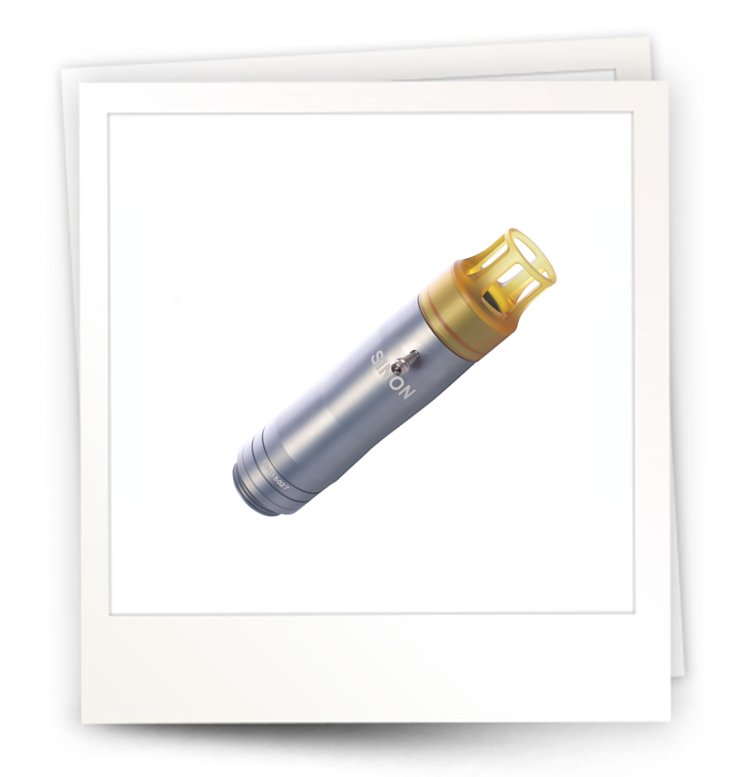 The Homogenizer handpiece may be used in Q-Switched laser mode. SINON II’s new fractional tip offers the advantages of fractional technology for the treatment of pigmented lesions and multicolored tattoos. 5×5 pixel array micro beams of Ruby Q-Switched laser energy create vacuoles with minimal hermal effect. This allows the skin to heal faster as new collagen is formed. 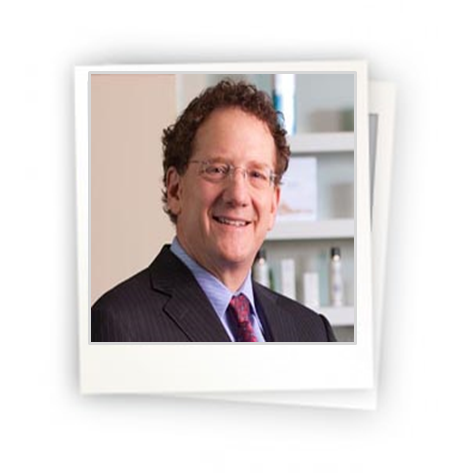 Fractional treatment chieves more even skin tone over a larger area and offers an added skin rejuvenation effect, while reducing patient downtime. A 3mm soft spot size tip allows for safe and effective treatment of darker skin types. 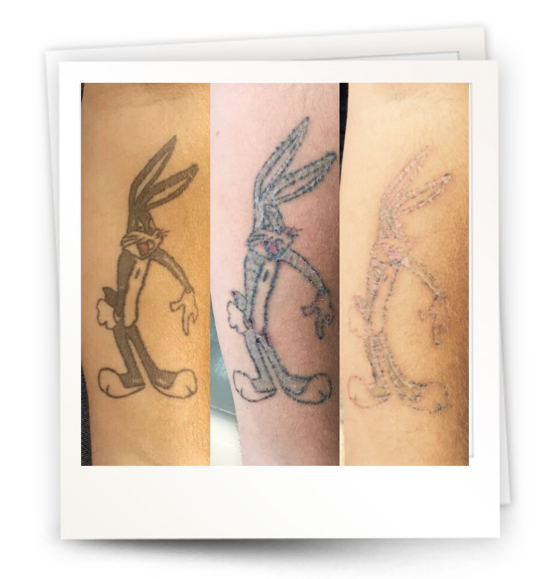 “By using the Q-switched ruby laser system SINON we could achieve 90 to 100 per cent clearance of amateur tattoos in dark Ethiopian skin types in almost any patient during a study. Whereas, there were no cases of scarring or permanent pigmentary changes.”. 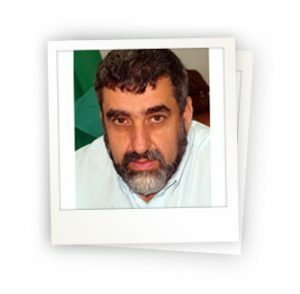 Dr. Shahriar Nazari’s, Turkey. 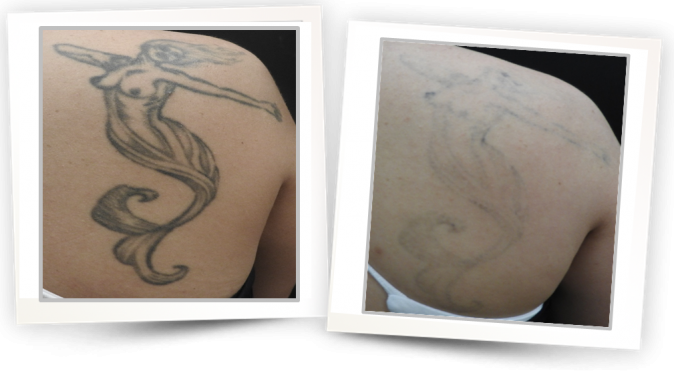 Tatto removal after 3 sessions. Courtesy of Alma lasers Clinical department.